What better way to welcome myself back to the blogging world than with some free scrapbooking classes? More on that in a bit. 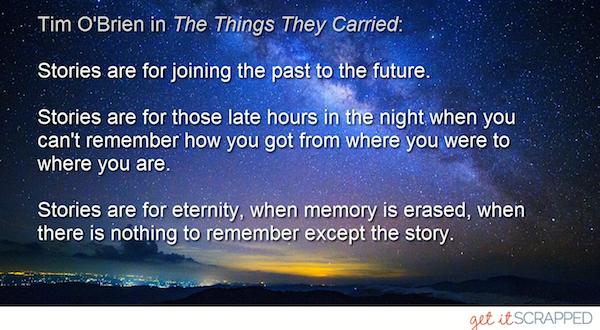 If you are new to Life and Memories, welcome! Feel free to look around. There's several years worth of posts here, mostly related to scrapbooking. If you are a friend from before, you'll likely notice a few tweaks I've made to the blog since my last post. The idea is to include more of my life and interests from here on out. Never fear, it will still include plenty of scrapbooking. Glad to have you back! I'd love to catch up. But, back to the free stuff. I've got three items, so I'm hoping at least one of them will be exactly what you are looking for heading into the fall season. First, a 5-minute video aimed at conveying the importance of personal storytelling, as well as how well-suited the scrapbook page is for doing this work. It's the intro to a free series called "Your Stories Matter". 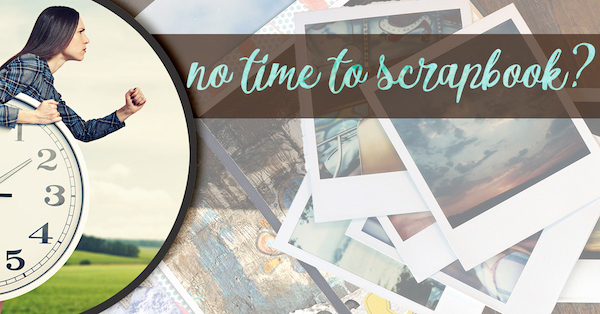 Next, if you want to become a motivated and efficient scrapbooker, here is a 6-part free series of videos, complete with checklists and worksheets, if you like that sort of thing. (I do) It's appropriately called "The Motivated and Efficient Scrapbooker". 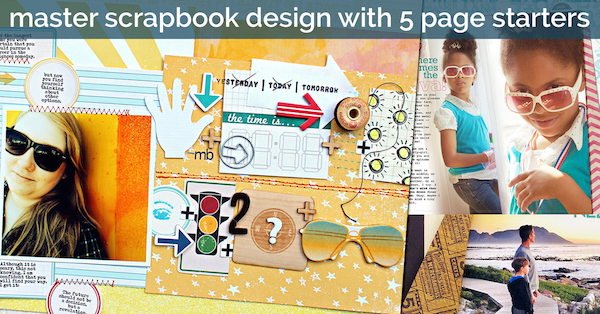 Finally, here's a series of free videos and eBooks showing scrapbookers how to start pages with 5 solid design foundations, called "Free Design Guide: The 5 Scrapbook Page Starters That Will Let You Toss Sketches & Templates to Make Scrapbook Pages Like Top Designers". Quite a mouthful, but it gets the job done. I'm excited to be back after a lengthy break, excited to offer these free resources because it's good stuff and it's all FREE! I am so glad that you decided to come back. I always enjoyed your posts, your scrapbooking style and reading about your adventures. Sue, I'm excited to see you come back to blogging. Thanks so much for sharing the GIS materials. I loved your blog. I am so happy to see you posting again. Thanks for the links to some great looking sites. Welcome back to the blog world! So great to see you back in blogland Sue! Hi hi, first time I've visited your blog. Will add you to my feedly. So glad you are back! Look forward to seeing your pages.